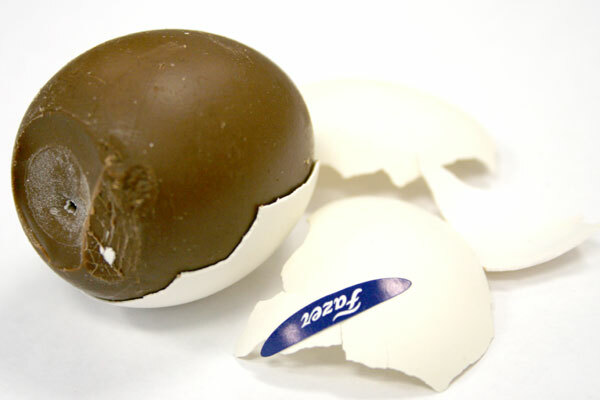 Mignon is a brand of chocolate filled in a real egg shell. 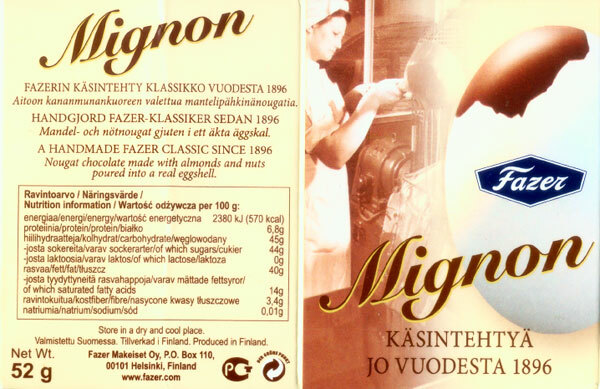 Mignon is traditional Finnish Easter confectionery made by Fazer, one of largest food corporation in Finland. I was lucky to get my hands on a few Mignon this year that was brought to my Finnish colleague by her parents during the Easter (Thank you Anu!). 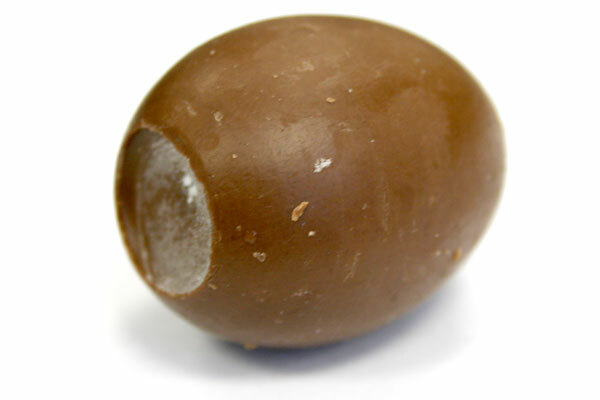 The unique aspect of this chocolate treat is that it has almond-hazelnut chocolate nougat inside of a real eggshell. 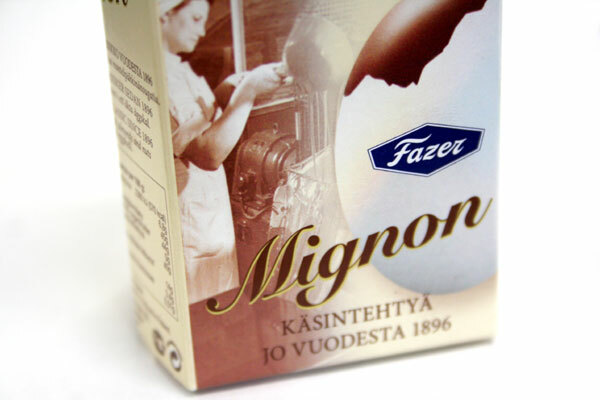 Mignon eggs are handmade at the Fazer factory in Vantaa, just a few kilometers north of Finnish capital Helsinki. During Easer, it can be bought for less than 2 euros. 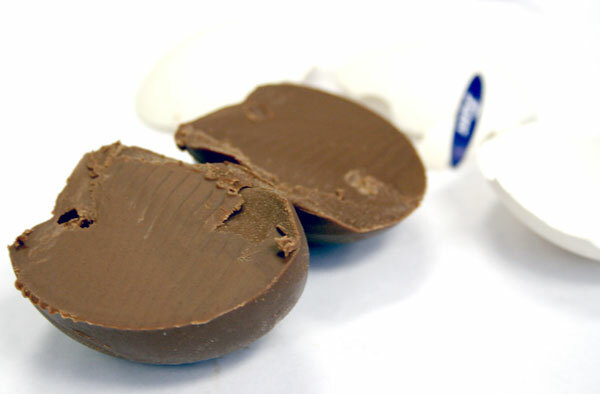 Mignon is a quintessential part of the Finnish Easter celebrations selling over two million Mignon chocolate eggs every year in a country of just a five million people. The chocolate is creamy nougat, which is a traditional confectionery made with sugar and roasted nuts. 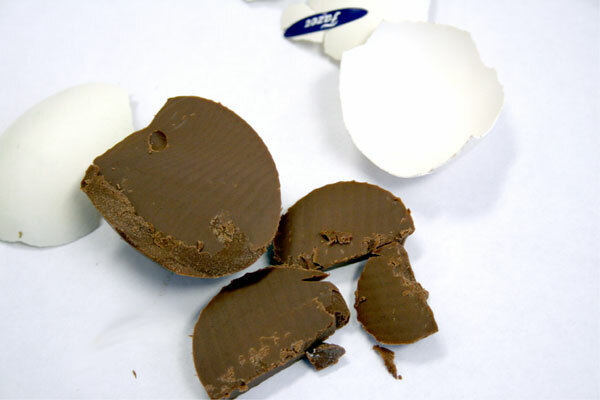 Mignon is made by pouring nougat chocolate into real eggshell by hand and sealed with mixture consisting of primarily sugar with a small amount of rice protein. 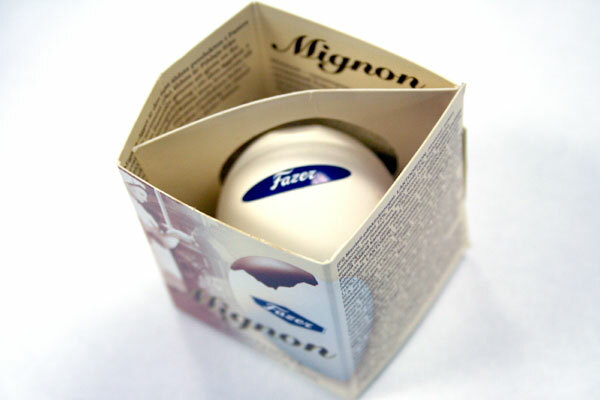 In 1896, Karl Fazer, the founder of Fazer chocolate, brought Mignon egg from Germanyto Finland. Since then, it has become part of Finnish Easter tradition. In olden days, this Easter delicacy was even delivered to the Tsar of Russia. Fazer recommends keeping Mignon chocolates at the room temperature, but chill in the fridge moment before breaking the shell. Egg shell are much more easer to remove when slightly chilled. The total calorie content of Mignon is just 296 k cal and it is a lactose free product. The ingredients consist of sugar, cocoa butter, almonds (15%), hazelnuts (15%), cocoa mass, emulsifier (lecithin incl soya), and flavoring (vanillin). 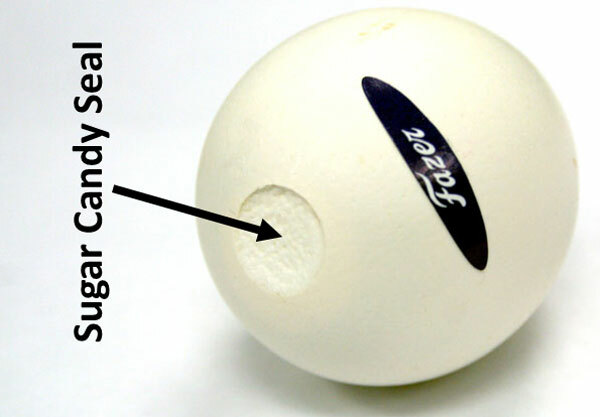 Since it is packaged in real egg shell, it may contain traces of eggs.